Our mobile device repair services are carried out by highly-skilled techs, who are up-to-date on the newest repair techniques. We work on almost all smartphones/cell phones as well as iPads/tablets. We fix screens, LCDs, charge ports, buttons, cameras, Wi-Fi antennas, flex cables, batteries, SIM Trays, headphone jacks, speakers, and more. In addition, we also offer a comprehensive water damage restoration service, which includes disassembly and thorough cleaning of any corrosion, as well as testing functionality of various components. 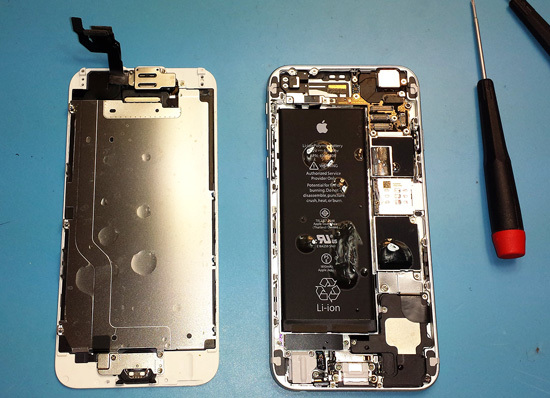 We fully test your device, both prior to repair and after, so you can be confident that it is fully functional. If you don’t live close to our shop, we do offer mail-in repair service.